People often ask us what it takes to run a business and be an entrepreneur. If you are interested in making the leap into the 10% stressful / 90% exciting startup world, Startup Weekend is a great place to start. In three days: you will pitch, get a team filled with diverse skills, and start a company. Last year, Startup Weekend held over 400 events in 100 countries. 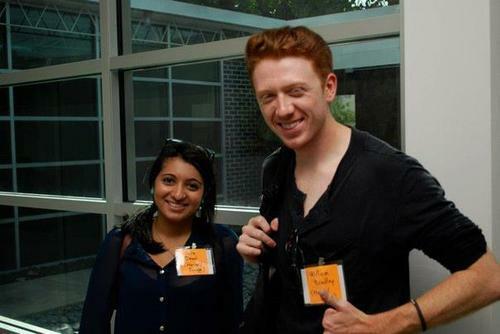 Last weekend Aleberry had the opportunity to participate in Startup Weekend Houston as Design Mentors. Two teams we worked closely with were QrowdSurf (venue merchandise service) & Arigato.co (a tips app). Both great ideas by some passionate minds. We hope both of you continue to develop these products! Some delicious local startups including FoodSitter, Oh My Gogi, & Buffalo Brew provided food & beer (thanks guys)! Huge thanks to START Houston for providing a venue, and to all the organizersfor putting on a great event. Here are a couple shots of Aleberry at work (via Javid Jamae). 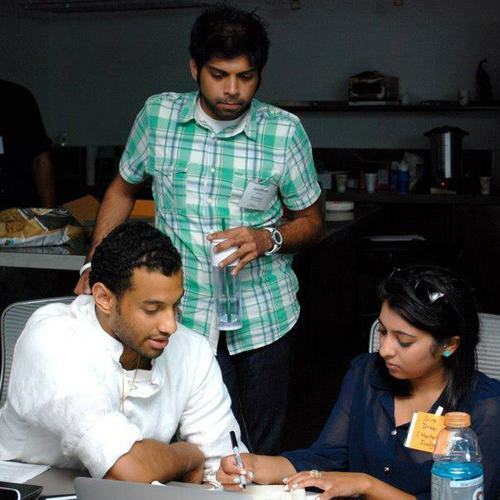 More shots of the teams can be found at Javid’s Startup Weekend Album. This was our first time, but definitely not our last. We had a lot of fun going around group to group and helping teams get their branding and designs together. As designers, we appreciated the teams’ trust in our design abilities. We loved being able to work on multiple creative projects and be a part of great ideas. Congrats to all the winners! We look forward to seeing your companies go live! Mark your calendars for the next Startup Weekend Houston, Nov 9-11, 2012. You might get more Aleberry designs your way!